Linux Worm Targets "Internet of things"
Malware hunters have stumbled upon a new Linux worm squirming through an old PHP vulnerability to infect hidden, Internet-enabled devices. 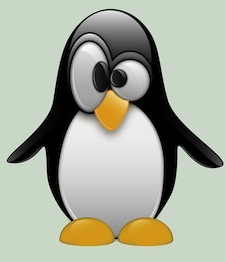 The worm, named Linux.Darlloz by Symantec, is capable of attacking a range of small, Internet-enabled devices in addition to traditional computers. The company said variants exist for chip architectures usually found in devices such as home routers, set-top boxes and security cameras. The worm spreads by exploiting a previously known vulnerability in PHP which was patched in May 2012. Symantec researcher Kaoru Hayashi said the creator of the worm used proof-of-concept code that was released in late Oct 2013. "Upon execution, the worm generates IP addresses randomly, accesses a specific path on the machine with well-known ID and passwords, and sends HTTP POST requests, which exploit the vulnerability. If the target is unpatched, it downloads the worm from a malicious server and starts searching for its next target. Currently, the worm seems to infect only Intel x86 systems, because the downloaded URL in the exploit code is hard-coded to the ELF binary for Intel architectures." Hayashi said the attacker is hosting some variants of the worm for other architectures including ARM, PPC, MIPS and MIPSEL on the same server. "The attacker is apparently trying to maximize the infection opportunity by expanding coverage to any devices running on Linux. However, we have not confirmed attacks against non-PC devices yet," Hayashi said. To make matters worse, Hayashi said many users of hidden operating systems may not be aware that they are using vulnerable devices in their homes or offices. "Another issue we could face is that even if users notice vulnerable devices, no updates have been provided to some products by the vendor, because of outdated technology or hardware limitations, such as not having enough memory or a CPU that is too slow to support new versions of the software," he added.